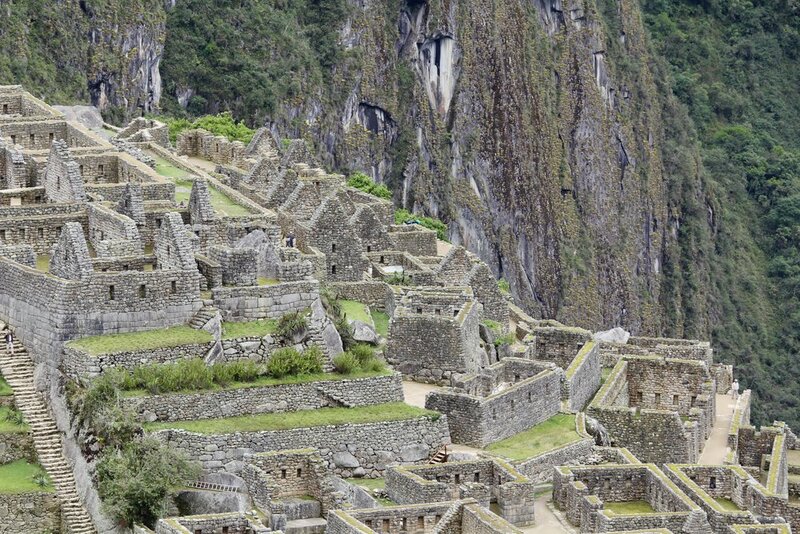 About a month ago, Nicole and I tackled one of our travel dreams ... seeing Machu Picchu! It didn't disappoint and we couldn't have been luckier to make the journey on a day when both the weather was mostly clear and the crowds were thin. 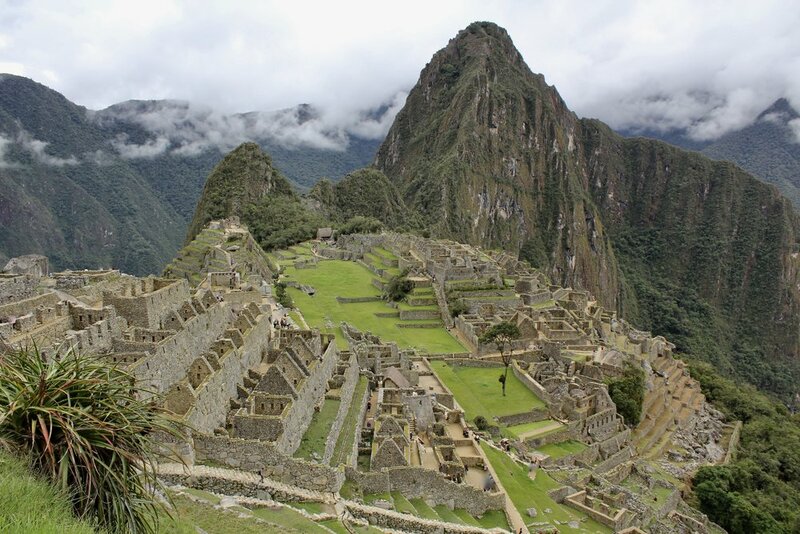 Machu Picchu is such a bucket list destination that we agonized over how to approach for our visit. We'd heard over and over from other travelers about the beauty of seeing a sunrise over the ancient city before the crowds descend upon the ruins. Indeed, in my humble opinion, how to go about organizing a trip to Machu Picchu oftentimes becomes more important to travelers than the visit itself. But then again, it is a long long trek to get to Machu Picchu and so I can hardly fault visitors for wanting to maximize the experience. 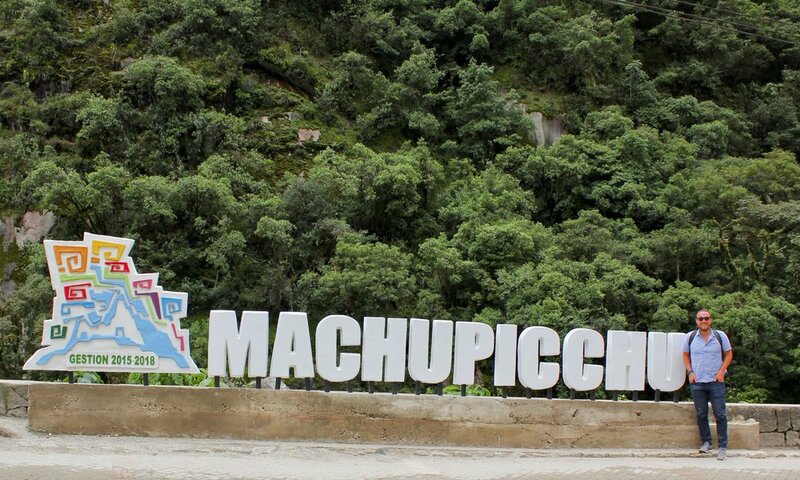 (3) Take a train to Aqua Calientes and then ride a bus up to the Machu Picchu ruins. None of these options are cheap. For anyone taking the time to travel to Machu Picchu, we would recommend researching all three options to find the best fit. We were glad we spent ample time reading blogs and doing internet research before deciding on the best option for us. No matter which option you do end up choosing make sure to BUY YOUR TICKETS IN ADVANCE (click here for the official site). Tickets are limited in number, and even smaller quantities are released for those climbing Huayna Picchu or Machu Picchu Mountain. Plus, you cannot buy tickets at the entrance. 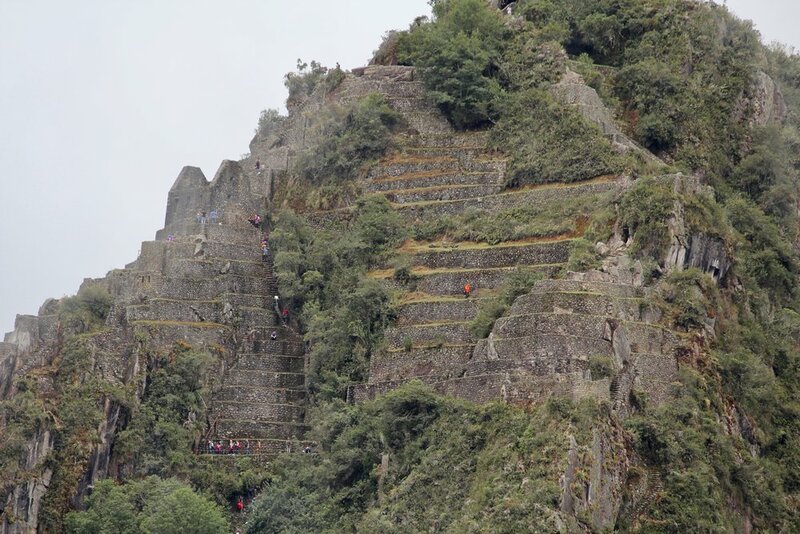 Also, make sure to check the latest Machu Picchu government issue tourist rules before planning a visit since, lately, they seem to be constantly changing. Nicole and I chose Option #3, taking a train and bus to the site, and couldn't have been happier with our decision. True, we did not get to experience hiking for days before descending into the ancient city. Nor did we experience a sunrise over the ruins. But, on the flip side, Nicole and I saved money and travel days and, perhaps most important to us since we were wrapping up nine months of overseas travels, we did not have to fully outfit ourselves with hiking gear and equipment. 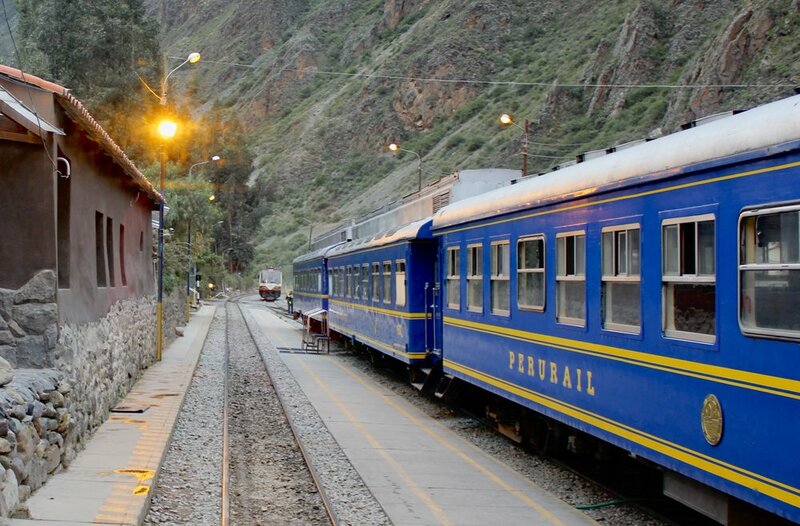 Based on the train schedules, most people seem to stay in Aqua Calientes at least one night so they can get up early and arrive at the Machu Picchu citadel first thing in the morning. We took a slightly different approach and stayed in Urubamba at the Tambo del Inka and took the train (they have their own train station stop right by the hotel) to Aqua Calientes and back in one day. It worked seamlessly for us, but wouldn't be perfect for the person hoping to get to the citadel first thing in the morning. We loved staying at the Tambo del Inka. It's a luxury resort with swimming pools, saunas, fine dining, etc. Although a splurge for us, we were fully rested, relaxed, and ready for the big day. On the day of the journey, the train arrives a short five minute walk from the hotel where you are escorted by hotel staff. The train itself is one of the nicer we'd been on with snack service and stunning views for the approximately two hour ride. We had a great time chatting along the route with a U.S. couple on their honeymoon -- he a U.S. Secret Service agent and she a D.C. police officer -- proving once again that one of the best things about travel is the people you meet along the way! Upon arriving in Aqua Calientes after the train ride, we met our local guide which we had arranged through the hotel. Our plan had originally been to walk to the site inasmuch as we had read that the wait to board the buses can be up to two hours and figuring we would spend that time walking instead. Our friendly guide who spoke excellent English quickly dissuaded us. As it turned out, the lines to board the buses were non-existent so it made a lot more sense not to waste time walking when we could be exploring the ruins instead. We're really glad we took his advice. After the half hour bus ride up the mountain, we arrived at the entrance to the ruins. It all came down to this! Since tourists are now required to use guides for their visits, there is a well regulated route through the ancient city used by all of the guides -- first climbing to the vista point for the postcard worthy photo of Machu Picchu amidst the surrounding mountains, then snaking through the ruins themselves. We spent a few hours touring Machu Picchu which was plenty of time to see everything and take boat loads of pictures. From what we observed, the guides all seem to understand that most visitors are more interested in taking pictures than in getting a history lesson, so the long lectures are kept to a minimum. In the final analysis, Nicole and I couldn't have been happier with our Machu Picchu experience. It was a travel dream come true. We never regretted for a minute not hiking to the ruins. For others, this may be an epic part of their trip but for us, just getting to spend a half day wandering the ruins and taking pictures was all we were after. Nor did we regret not buying tickets to hike the nearby Huayna Picchu and Machu Picchu Mountain. Again, I'm sure both of these experiences would have been great, but for us it was all about spending time exploring the main, famous citadel area. We couldn't have been happier with our visit and will remember as one of our best travel experiences. Like this post? Want to read more about Travis and Nicole's travel adventures? Check out Thanksgiving in Pucon, Chile.